We are located in the quaint downtown area of Glen Ellyn. 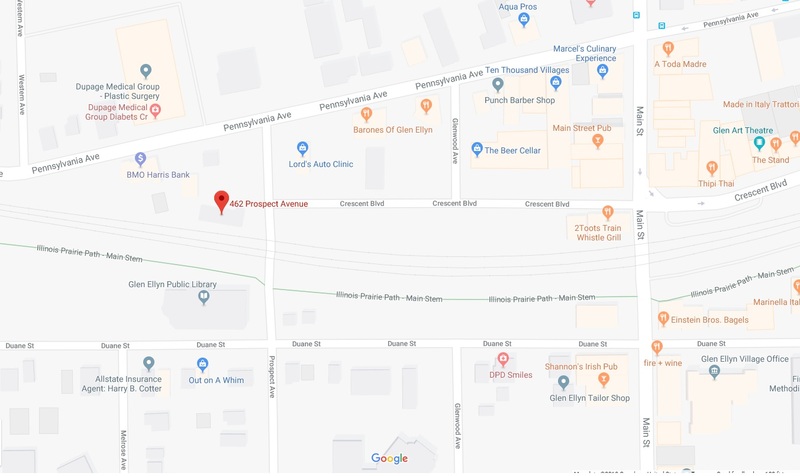 We are just North of the railroad tracks on Prospect Avenue. With convenient parking in the back of our building.